We don’t like to begin articles with “what else can anyone say about...”, but Sennheiser’s HD 650 demands such a lead-in. Massdrop’s update, the HD 6XX, changes nothing of consequence except the price. Massdrop is a curated deals site, where discounts get even deeper when purchase count thresholds are reached. Their collaborations, with companies like Sennheiser, have become even more exciting than their sales. Massdrop has easily blown through previous stock of the HD 6XX, and for good reason. The HD 650s debuted in 2003, and remain mostly uncontested by other open-back sets anywhere near their price range. The 650s have never been cheaper than $287 on Amazon, but the 6XX comes in at just $250, if you’re fast enough to snag a pair. Because the HD 6XXs are open-back, they are of course not the right cans for loud spaces, public transit, or your office, but in your (hopefully) quiet home, they’ll be amazing for your music and/or gaming, with or without an amp. The included cables are better than the original, and replaceable. The 6XXs are big, especially if you’ve never worn open-back headphones, and clamping force will be bothersome for some, though they do break in. Nothing has changed internally here- the legendary tuning, the sound signature that even Sennheiser has been chasing ever since, it’s all intact. The “Sennheiser sound” is exemplified in the HD 650/6XX, offering balancing for enjoyment by normal people that doesn’t fatigue. You won’t find a flat frequency response curve or hyperbolic bass here. The Massdrop x Sennseiser HD 6XXs are the best deal in headphones, assuming you have a place for open-backs in your routine. 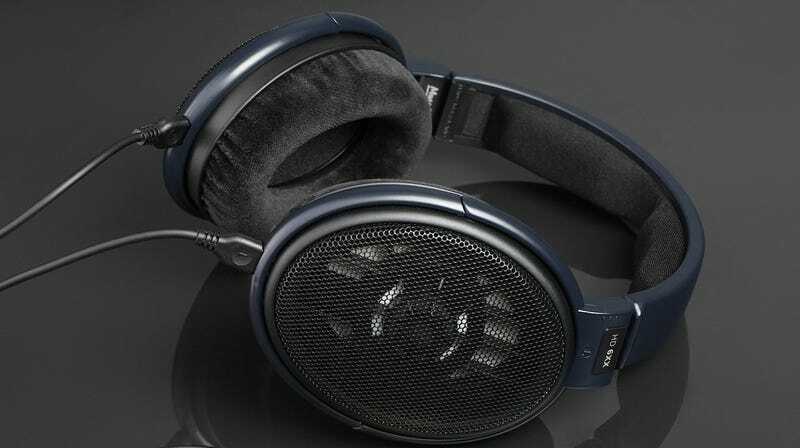 Another pair in the Sennheiser HD series, the 598s, placed in your top five earlier this year.